Danish-born architect and furniture designer Ib Kofod-Larsen (1921–2003) earned his architecture degree from the Royal Danish Academy in Copenhagen, opening his own studio in Copenhagen in 1948. A prominent figure in Danish Modernism alongside such masters as Kaare Klint, Hans J. Wegner, Børge Mogensen, Finn Juhl and Nanna Ditzel, Kofod-Larsen viewed Scandinavian design not as a regional phenomenon but as part of international modernism. He enjoyed great success internationally, becoming the best-selling Danish architect in the US in the 50s, working with furniture manufacturers in Germany, Sweden, Japan, the US and the UK, and exhibiting throughout Europe and the US. Danish architect and designer Ib Kofod-Larsen presented the Knitting Chair en 1951 at the Copenhagen Cabinetmaker's Guild Furniture Exhibition. 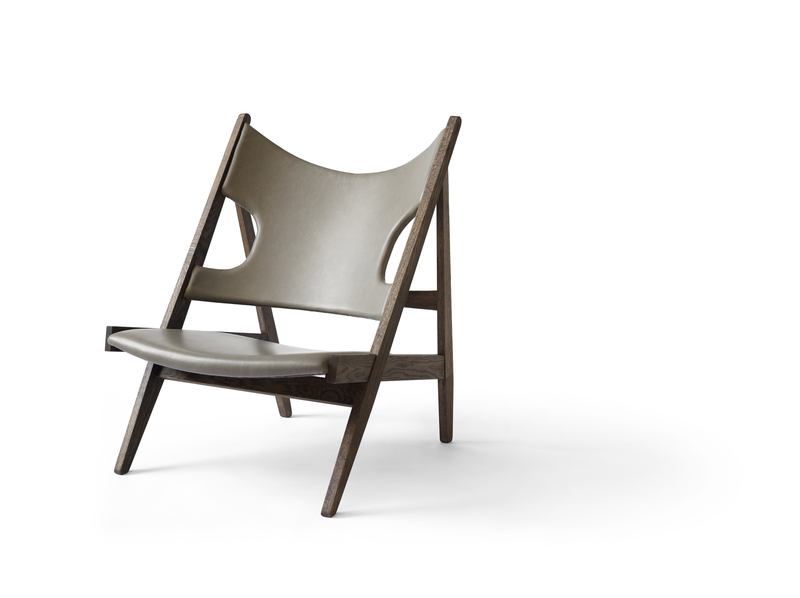 Defined by an exposed, triangular construction, a gently curved seat and back ideally pitched for relaxation, and distinctive cut-outs for resting the elbows when reading (or, of course, knitting) the Knitting Chair affirmed Kofod-Larsen’s reputation as a master of proportion and unexpected, sculptural form. It was put into production – but only as a limited edition. Since then, the sophisticated, inventive design has become an increasingly valuable and sought-after collector’s item. 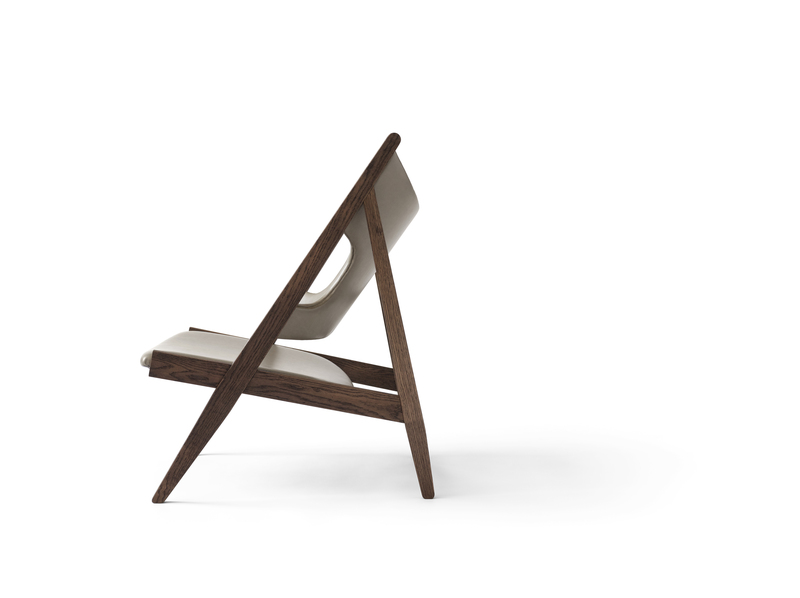 The lounge chair is beautiful from every angle, making it easy to ft into any room layout. 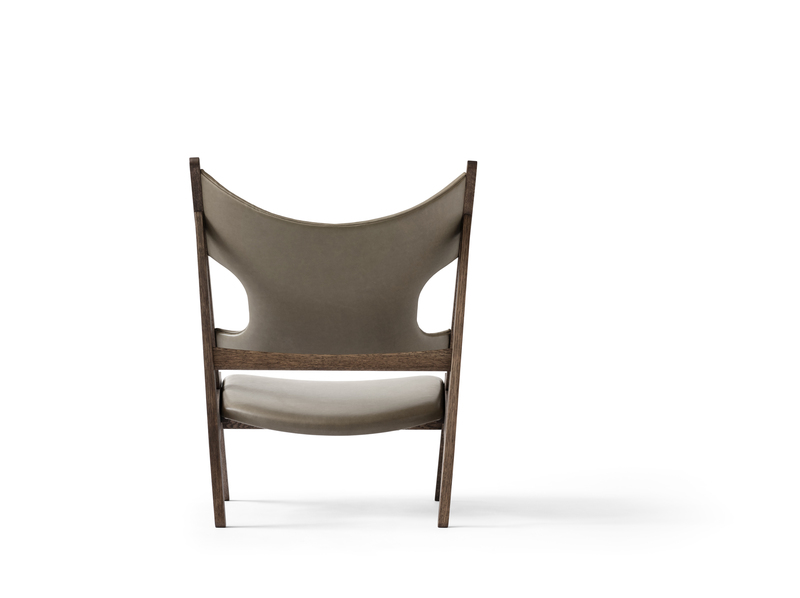 And, given the chair’s enveloping comfort, it has a relatively small footprint, making it a match for both compact and more spacious interiors. The newspapers and knitting needles of Kofod-Larsen’s day may have partially given way to smartphones and tablets – but rest assured: the designer’s clever armrests accommodate our modern unwinding just fne, too. 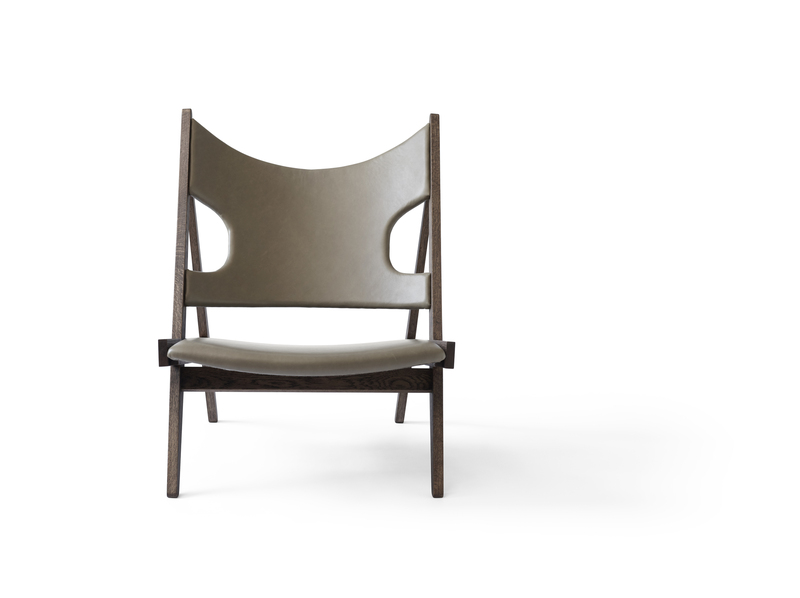 The Knitting Chair’s first limited-edition run of 99 individually-engraved chairs is only available in Stained Waxed Solid Oak frame and Dakar Aniline Leather upholstery.